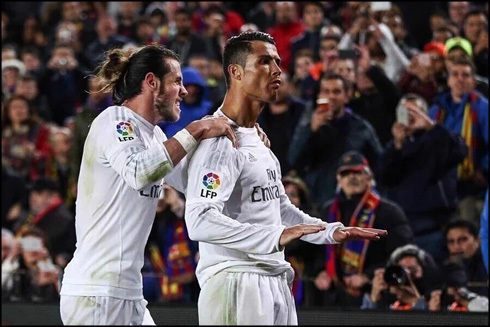 Barcelona's 39-game undefeated streak was pulverized by Real Madrid, who beat their rivals at the Camp Nou in a 1-2 win, thanks to a winning goal from Cristiano Ronaldo in the 85th minute. The Merengues have now closed the gap to Barça to a 7-point difference. Yes, he did it again! Cristiano Ronaldo never ceases to surprise his detractors. The man who doesn't perform against big teams, the man who doesn't show up in the big games and the man who has been said to be done and finished in football, left once again his mark at the backyard of Real Madrid's biggest rival Barcelona, to deliver a quite memorable 2-1 triumph that will feed Madridistas' fans all over the world with a boost of hope for what's left in this season. 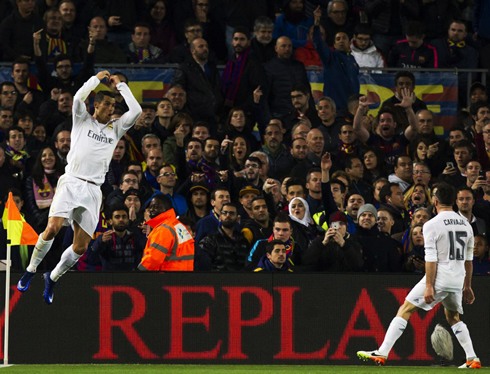 Ronaldo scored the match winner in the 85th minute of the game to end Barça's 39-game undefeated streak, after the equalizer from Benzema in the 62nd minute Gerard Piqué's opener had put the hosts in the lead shortly after the break, but Madrid's stunning reaction turned things around. These 3 points may not mean much in terms of La Liga's future this season, but it certainly allowed Real Madrid to get their hopes high for their UEFA Champions League campaign. 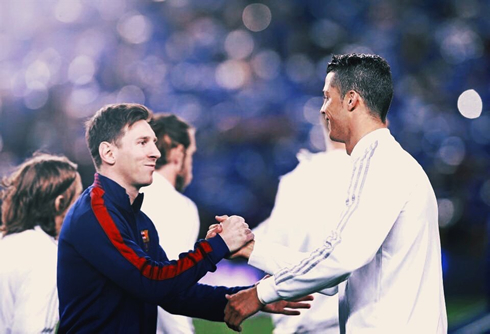 Next Wednesday, they travel to Germany to face Wolfsburg in the competition's quarter-finals first leg. There's only one word to sum up this match, and it's "Brilliant". In a season that's been so up and down and so frustrating to so many fans, tonight's win at the Nou Camp must feel like a godsend. There's so much to say about tonight, but at the end of the day, the man who shouldn't be forgotten is none other than Zinedine Zidane. The coach got his tactics spot on and he was the real catalyst for Madrid today. With Casemiro in midfield and the BBC up top, Madrid were at basically full strength heading into the match. It was a cagey affair at the onset. Madrid stayed tight and compact, hoping to close any gaps that the highly-vaunted MSN were looking to exploit. And Barcelona, cautious as usual, found it hard to find any space. 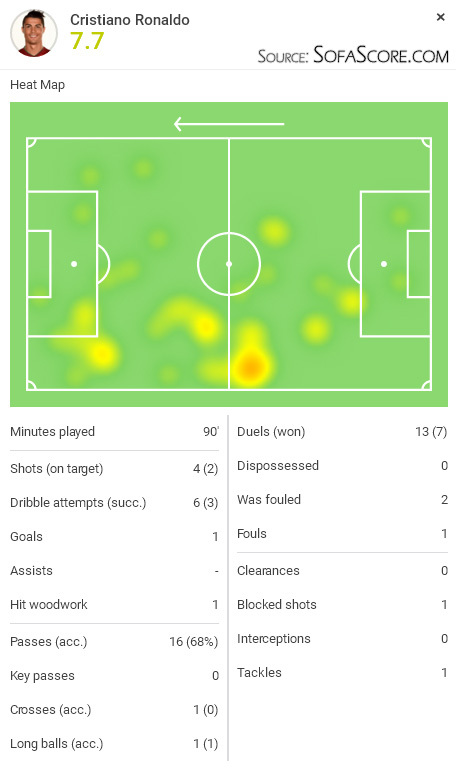 Casemiro was a massive road block for the Catalans, with his play in the center of the park (and some timely fouls when needed) being a major deterrent. Messi, Suárez and Neymar were never able to get into the rhythm they wanted. Of course, there were still chances. Luis Suarez's miss from just outside the six-yard box was shocking and Keylor Navas did well to keep out a shot from Ivan Rakitic in the first half. Still, it was a nervy affair and Real Madrid struggled to keep the ball or do anything of note. A chance from the surprisingly poor Karim Benzema was the only real opportunity of the half, but the Frenchman ballooned it over the bar. 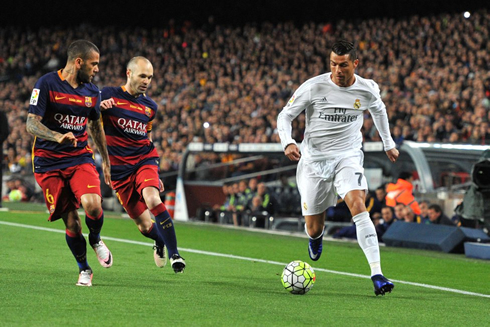 The second half was a different story and as Madrid became more comfortable the game opened up. However, just when it seemed as though Madrid were getting settled, a headed goal from Gerard Pique put Barça in the lead. After Arda Turan came on for Rakitic, there was a clear shift in the Barça midfield and Madrid were happy to exploit. And it seemed they got the winning goal in the last 10 minutes when Gareth Bale rose majestically to put the ball into the back of the net from a Ronaldo cross. But alas it was called back for offside, just another in a series of dubious calls from the referee. Undeterred Madrid pressed on, despite another silly sending off from Sergio Ramos. Cristiano Ronaldo would hit the cross bar just a few minutes later and soon after that, would come the moment Madrid fans would have been dreaming about. Bursting through the midfield, Dani Carvajal found Jesé, who expertly played a one-time pass to Bale down the right wing. The Welshman's inch-perfect cross was brought down by Ronaldo, before he placed a brilliant shot right between the legs of Bravo and into the back of the net. 2-1 to Real Madrid and that was the perfect reply. For Cristiano Ronaldo in particular, after all the heavy criticism he's come under this season, it was the perfect moment. Madrid would hold on and finish with a 2-1 victory, but there were so many key takeaways from this game, even if La Liga may be long gone. 1) Casemiro, Modric, and Kroos, that's currently the best Real Madrid midfield. 2) The effort and the tactics were spot on. 3) Jesé has really grown under Zidane and he looks like the player he was, back in 2014. 4) This team may have a serious shot at the UEFA Champions League. Cristiano Ronaldo next game with Real Madrid for the UEFA Champions League is on the 6th of April of 2016, against Wolfsburg. You can watch Juventus live stream, Wolfsburg vs Real Madrid, Barcelona vs Atletico Madrid, Manchester United vs Everton, Leicester City vs Southampton, and Bayern Munich vs Benfica, all matches provided from our live football streaming game pages.